The Reefs of Puerto Morelos are amazing but if you would like to try something more adventurous or outside of Puerto Morelos then check out our special adventure dives. As divers we are well trained to look but not touch, to enjoy with our eyes the beauty of the underwater world and to not cause harm to the organisms that live there. When it comes to Lion fish we must break that rule. 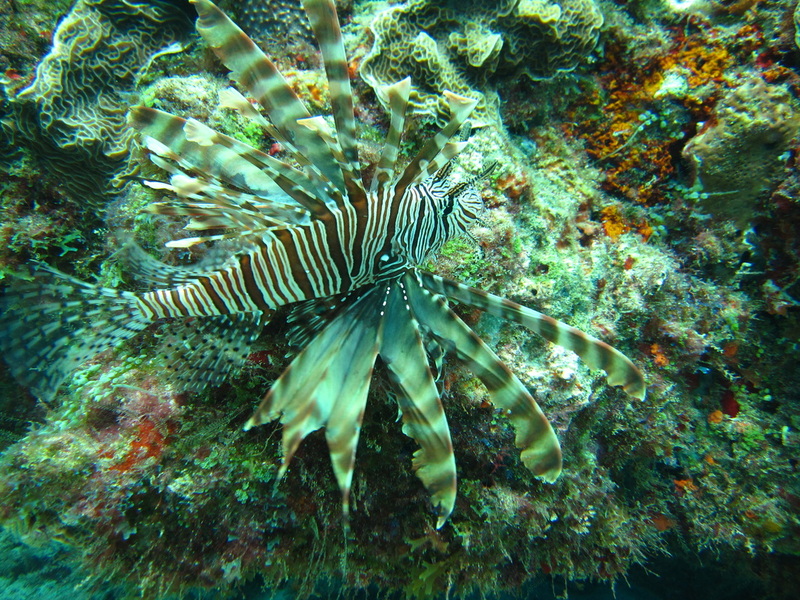 Lion fish are an invasive species that causes grave harm to the reef if their numbers are not kept in check. This museum has a total of 500 sculptures with three different galleries submerged between three and six meters, started in 2009 and completed at the end of 2013. 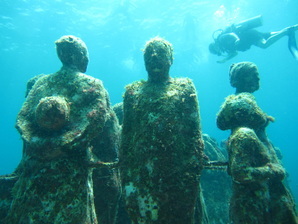 A series of sculptures by Jason de Caires Taylor and five other Mexican sculptors of the Cancún National Marine Park. The museum was thought up by Marine Park Director Jaime Gonzalez Canto with the help of sculptor Jason deCaires Taylor. Puerto Morelos is home to a few different shipwrecks, each as different as the next. 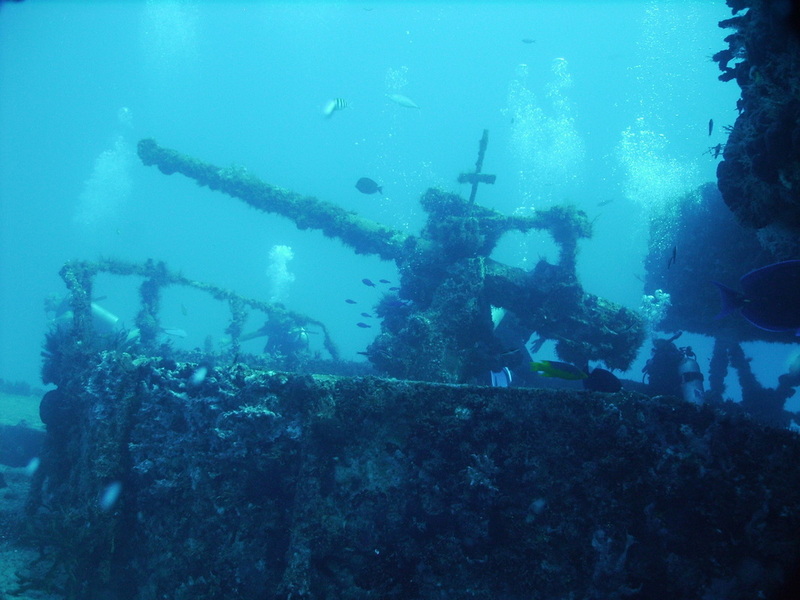 There is the C-56 Juan Escutia, scuttled in 2000 to form an artificial reef. The Tulum wreck, is of unknown origin and is broken in at least 4 pieces, each being their own site. This site at 135 feet, pushes the limits of recreational scuba is is only for experienced divers. The C-40 wreck is the baby of the bunch. Also of unknown origin, this shallow wreck is small but hosts lots of sea life. The Cenotes of the Yucatan Peninsula are some of the most beautiful cave and cavern dives in the world. The limestone formations were created while the caves were dry, millions of years ago. Now they are flooded with fresh water. The play of light and crystal clear water is mesmerizing. Visibility is limitless since you are diving in the aquifer. Good buoyancy control is important to not stir up the silt bottom. The walls of Cozumel are consistently rated as one of the top ten dive destinations in the world. We have two ways to get to Cozumel. Our favorite way is with our friends in Playa del Carmen, who have a boat that leaves from there and takes you straight to the reefs. 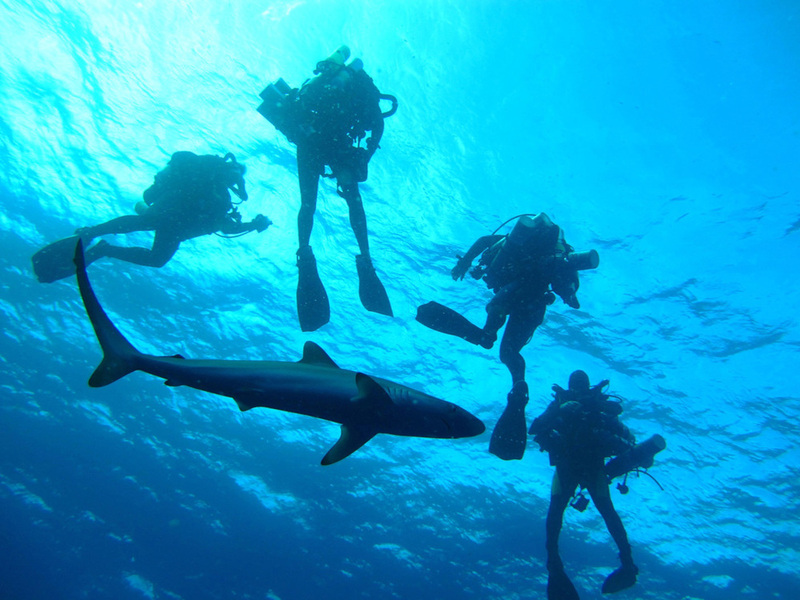 Advanced reservations are necessary for diving in Cozumel.